The traditional dental syringe has never changed much in its design – and dentists have been using syringes since 1853! So you could say it is about time something new arrived on the scene. What many patients who suffer from a needle or injection phobia don't realise is that the pain does not usually come from the needle. Certainly, a slightly blunt needle can cause discomfort, but it is rare to find a blunt needle in a modern surgery. 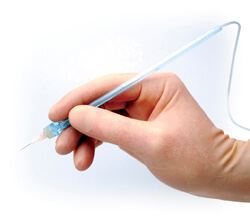 Most syringes now are disposables that are used only once. In reality, the pain caused by injections is created by the anaesthetic being delivered to quickly or with too much force. Primarily, this is simply due to the dentist being a little clumsy or heavy-handed – it happens from time to time. 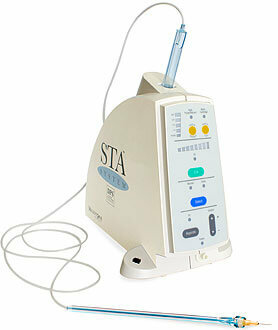 But imagine if there was a system available that delivered the anaesthetic at the perfect speed, every time! Painful injections would be a thing of the past! This is exactly what The Wand does. The flow of anaesthetic is computer-controlled while The Wand is the handpiece that holds the needle. Operating together, they remove the possibility of the injection being delivered accidentally fast. What are the benefits of The Wand?